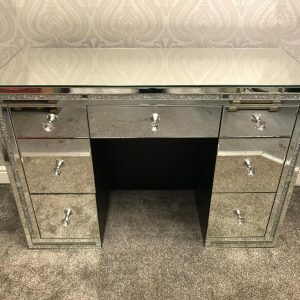 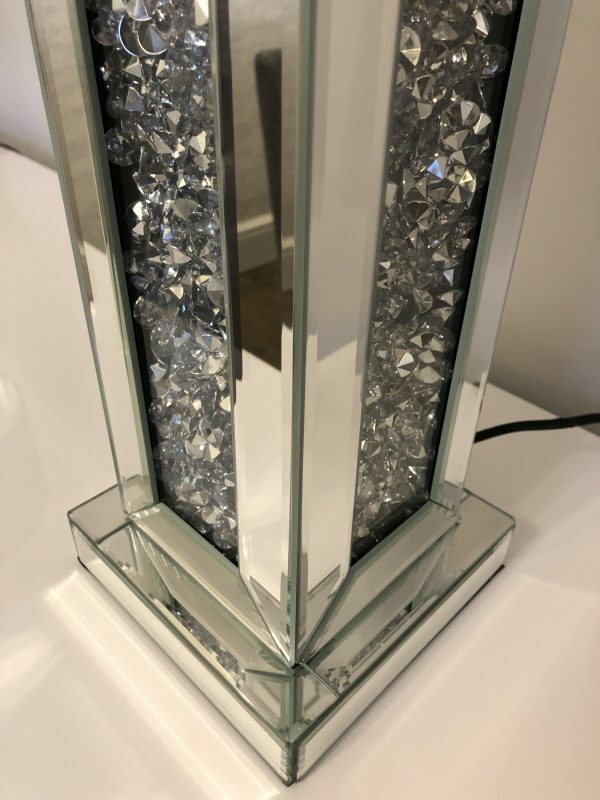 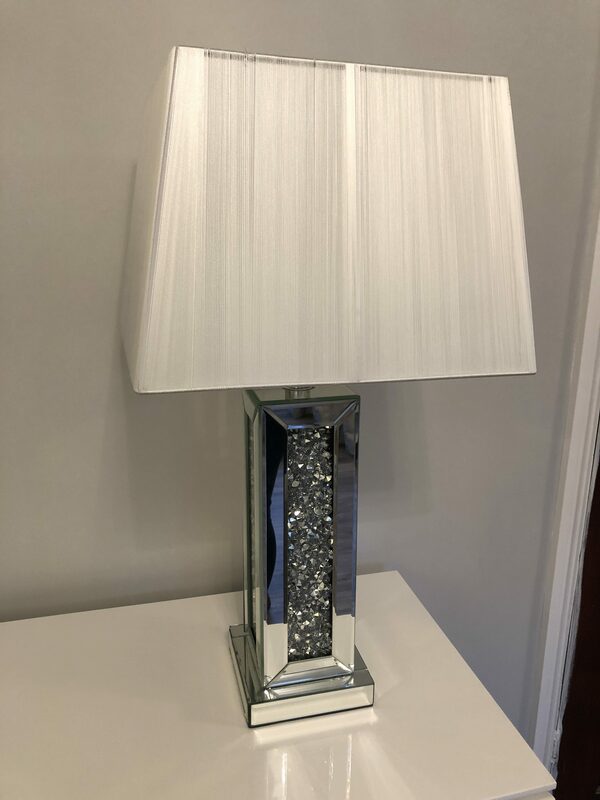 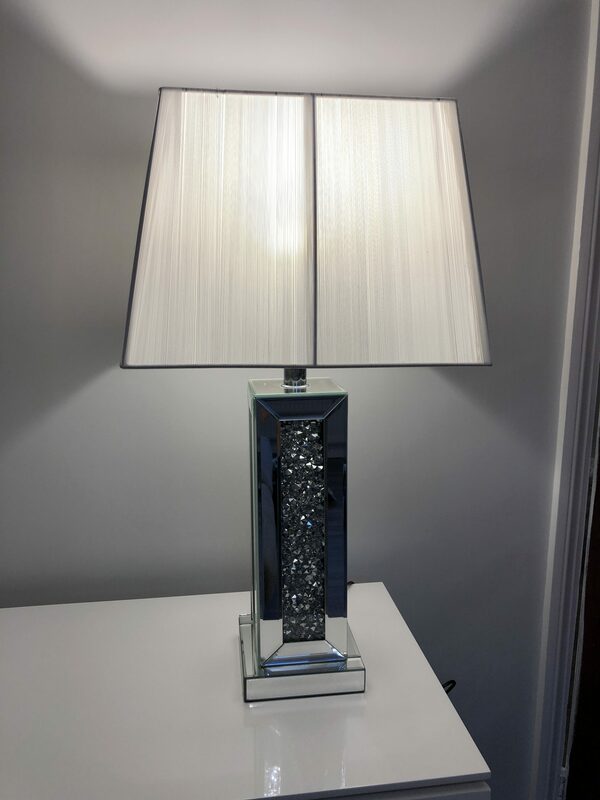 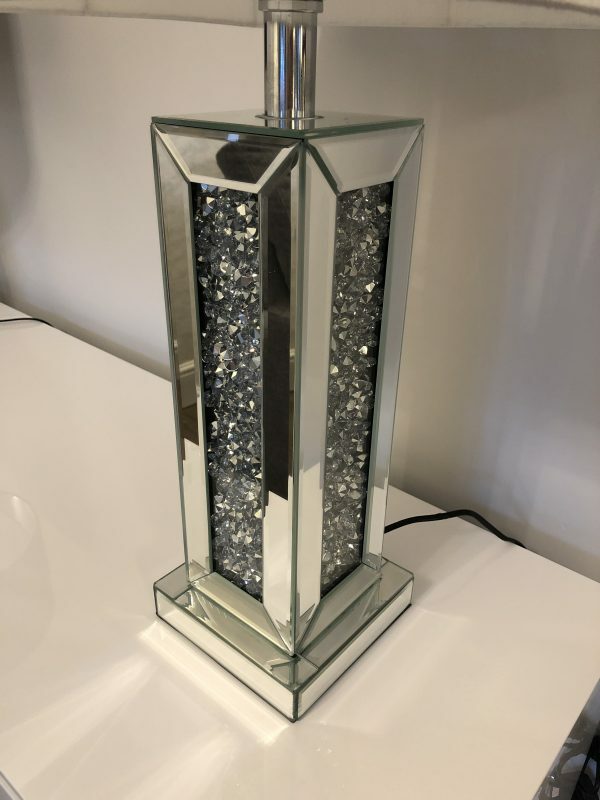 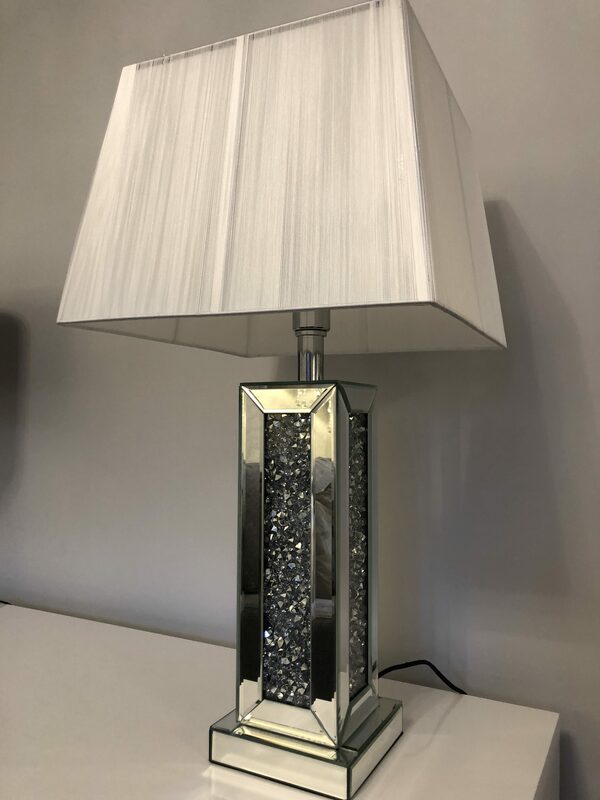 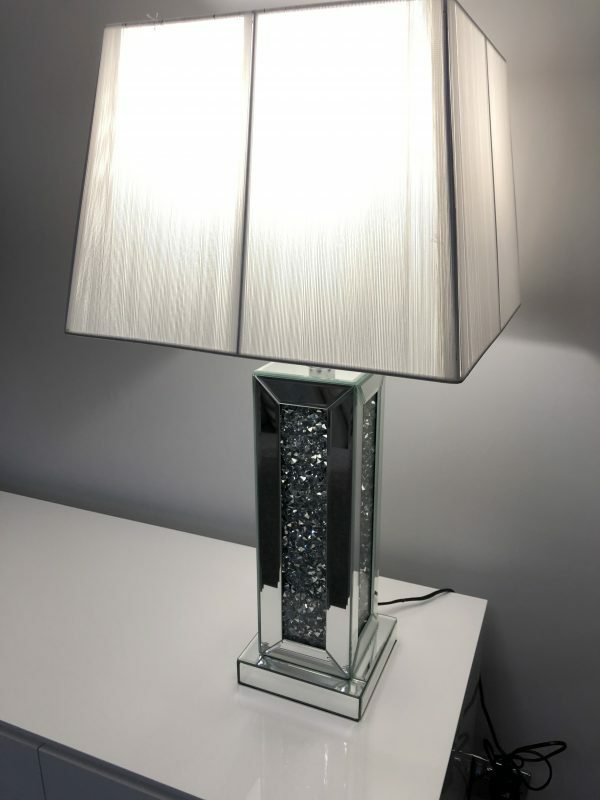 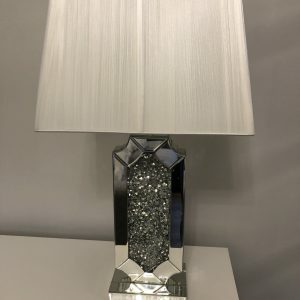 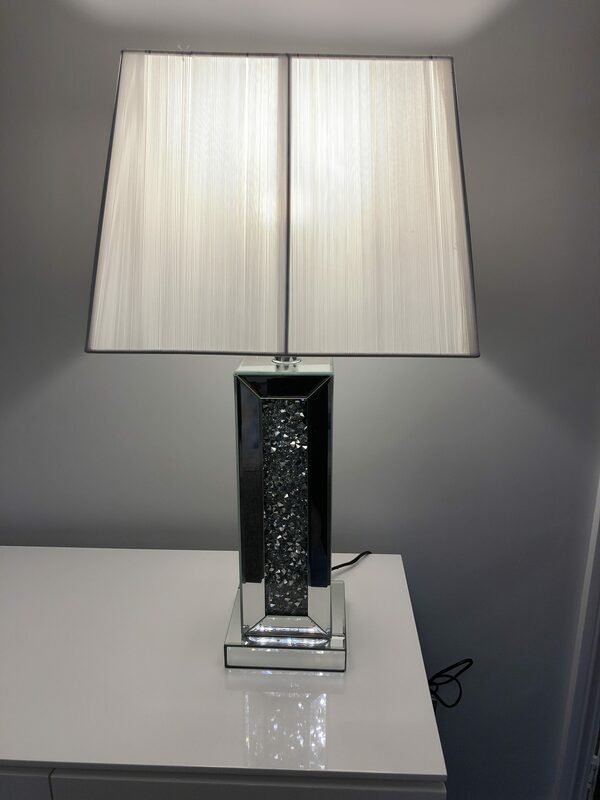 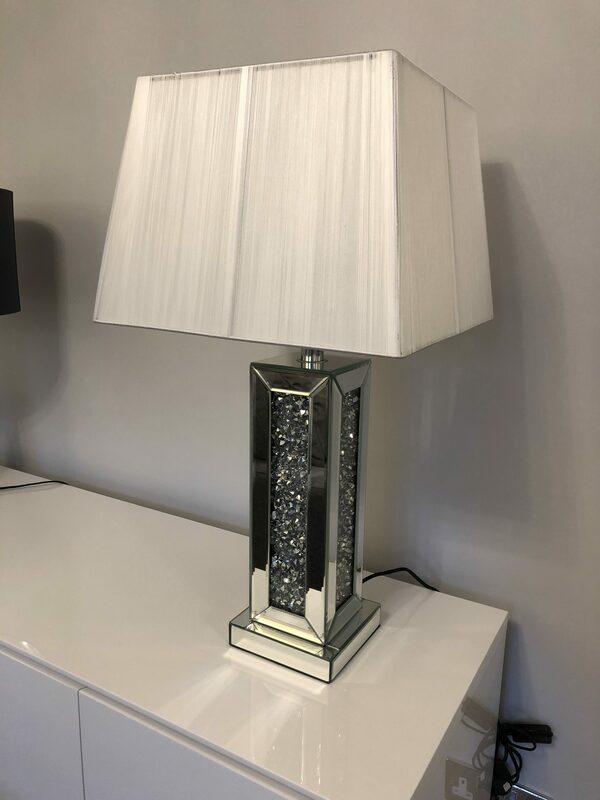 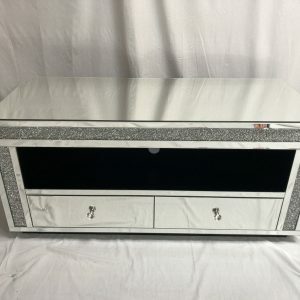 This stunning crushed diamond square table lamp is the most classic in our lamp range with panels of mirror surrounding crushed diamonds on each side. The diamonds will sparkle in the light of your home and give a classic yet stunning edge for your home lighting. 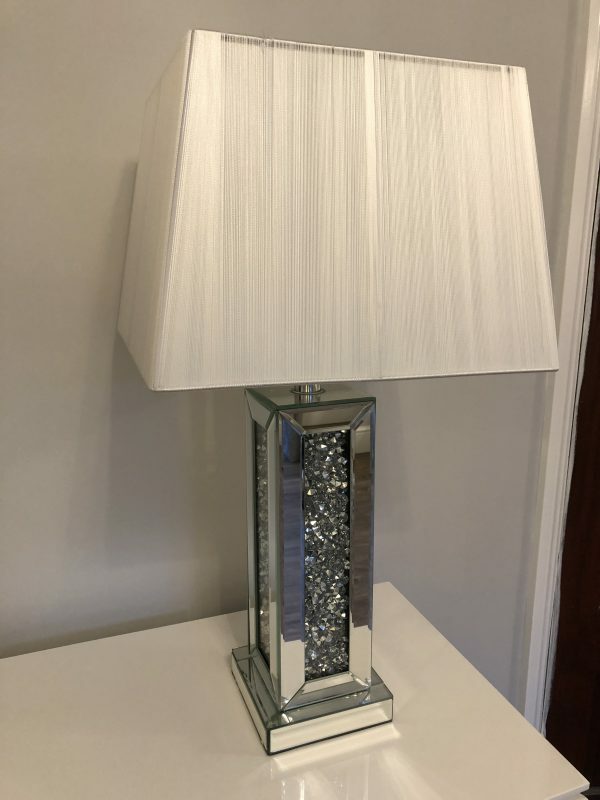 White Shade included. 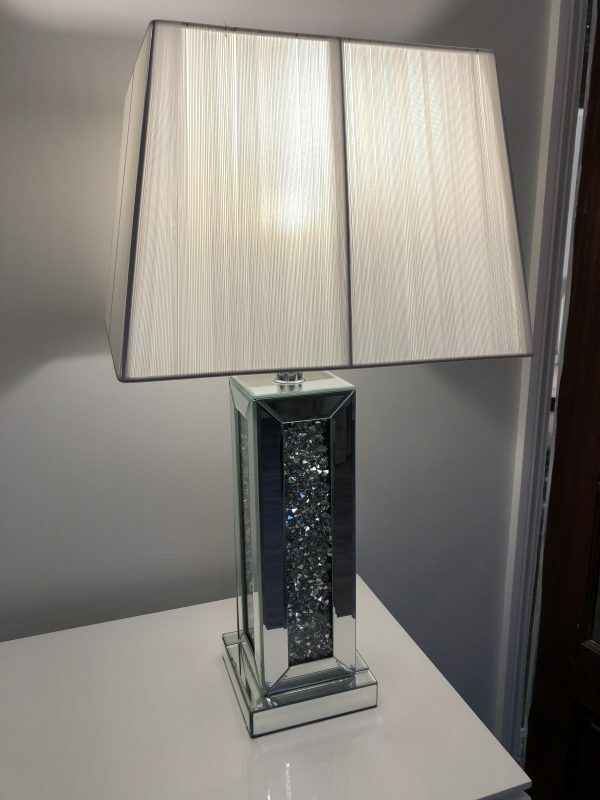 16cm x 16cm x 52cm.